The Games on Demand version supports English, Russian. 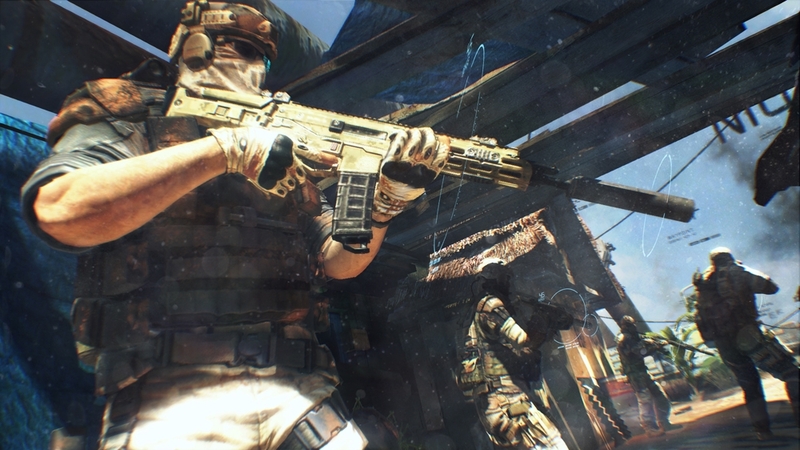 Armed with the most advanced combat technology, the Ghosts are an untraceable unit of soldiers who track down the highest-value targets in the highest-risk conflict areas around the world. In the near future, 4 of these elite soldiers serve as the tip of the spear in a hidden war raging across the globe. As the Ghosts accomplish their objectives, they discover a far greater threat - one that could alter the international balance of power forever. Join the Legendary Ghosts –Control Sergeant Kozak and his unit, across 14 missions in 8 spectacular locales, from Africa to the Arctic Circle. All-Access Pass to Future War Tech: Fight using the tech of tomorrow including, optical camouflage, augmented reality, drones and more. Wield over 50 Weapons and Customize Them with Gunsmith Mode- Harness the immense firepower of an army and optimize every aspect of your arsenal in the Gunsmith mode. Intense Multiplayer- 4 game modes, 10 maps and multiple classes along with GR’s classic siege mode. The “Khyber Strike DLC Pack” includes the following content: • 1 New MP mode, “Takeover”: Eliminating enemies scores points for your team. Tip the scales by taking control of your enemy's objective and earning a score multiplier to your team. • 3 new MP maps: o Switchback: Enter a maze of ancient buildings and narrow alleys. Here, every corner turns into a close-quarters deathtrap. o Palace: What once was a museum with a massive courtyard at its heart is now a contested battlefield. o Transit: Trains going through this Moscow metro station add to the danger as Ghosts and Bodark fight underground. • 1 new map for Guerrilla mode, “Village” : Long alleyways between war-damaged buildings in this once peaceful village make a perfect hunting ground for snipers, and a shootout near the town's gas station could turn explosive. • New achievements • Level cap +10 ORIGINAL GHOST RECON FUTURE SOLDIER GAME REQUIRED TO ACCESS “KHYBER STRIKE DLC” CONTENT. • Three new Campaign missions for an extended solo experience. Inserted in Russia and Kazakhstan, the Ghost must take part to one of their most classified mission. "Secure Dawn": A plane transporting a highly valuable VIP has been shot down over a forested area next to the Russian border. A distress beacon has been received. The Ghosts deploy to find the VIP and safely extract him. "Cold Walker": High Command tracked a Raven Rock mobile command center inside a train depot, deep in the heart of Russia. The Ghosts are deployed to locate and acquire precious intel assets. "Argent Thunder": Bodark Officers are on the loose in the city of Moscow. The Ghosts are sent out to eliminate 4 Raven Rock VIPs trying to trigger a nationalist uprising in the city. • New Guerrilla map: "Sawmill". Rising fog can turn the dense woods and open areas of this timber camp into a deathtrap. • New Achievements. 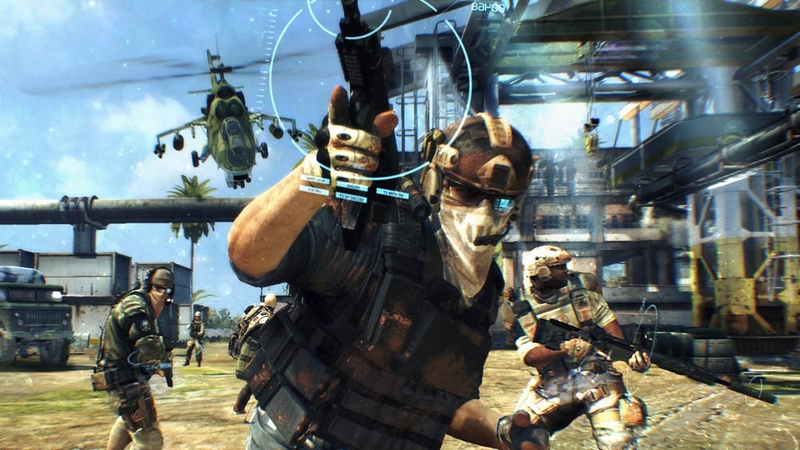 ORIGINAL GHOST RECON FUTURE SOLDIER GAME REQUIRED TO ACCESS “RAVEN STRIKE DLC” CONTENT. Three new Campaign missions for an extended solo experience. Inserted in Russia and Kazakhstan, the Ghost must take part to one of their most classified mission. "Secure Dawn": A plane transporting a highly valuable VIP has been shot down over a forested area next to the Russian border. A distress beacon has been received. The Ghosts deploy to find the VIP and safely extract him. "Cold Walker": High Command tracked a Raven Rock mobile command center inside a train depot, deep in the heart of Russia. The Ghosts are deployed to locate and acquire precious intel assets. "Argent Thunder": Bodark Officers are on the loose in the city of Moscow. The Ghosts are sent out to eliminate 4 Raven Rock VIPs trying to trigger a nationalist uprising in the city. • New Guerrilla map: "Sawmill". Rising fog can turn the dense woods and open areas of this timber camp into a deathtrap. • New Achievements. 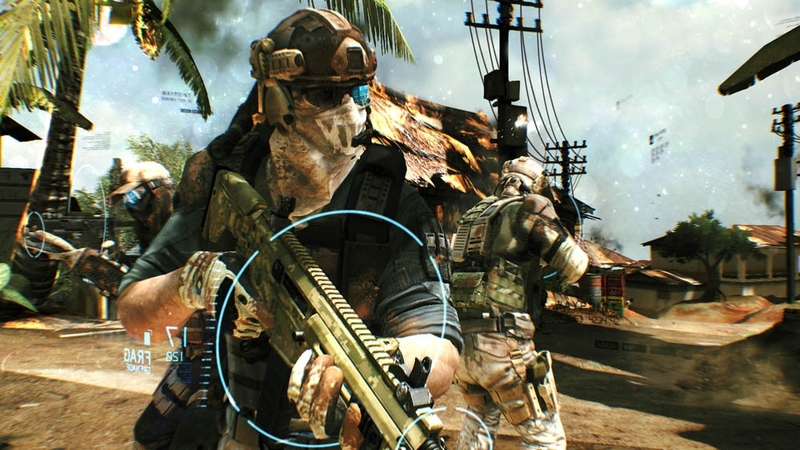 ORIGINAL GHOST RECON FUTURE SOLDIER GAME REQUIRED TO ACCESS “RAVEN STRIKE DLC” CONTENT. Pop an intel grenade and watch as the whole world around you is filled with Augmented Reality! Part of the Tom Clancy’s Ghost Recon: Future Soldier™ collection. 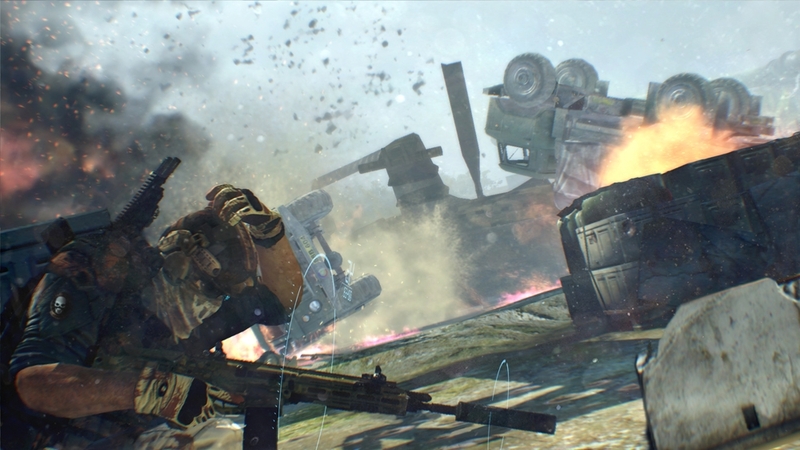 The fight continues with Ghost Recon Future Soldier’s Arctic Strike Map Pack, as the battle takes you from the streets of Moscow to the far reaches of the Arctic. 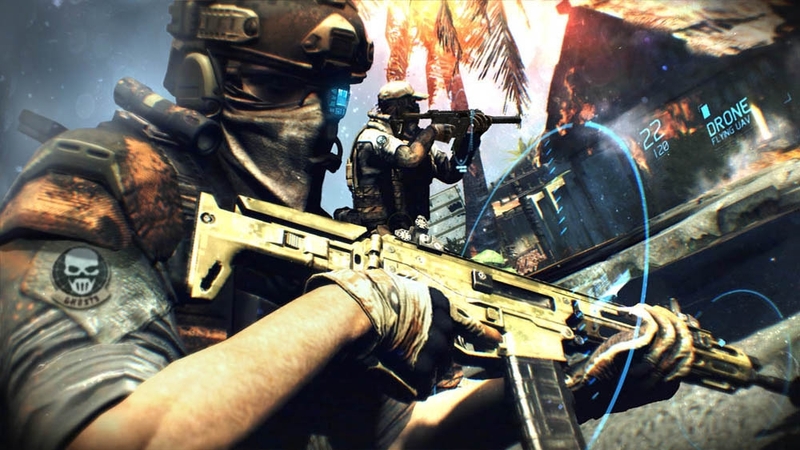 This all-new downloadable content pack extends your Ghost Recon Future Soldier experience with new multiplayer maps, a new multiplayer mode, a new Guerrilla Mode co-op map, and six additional weapons to give you the supreme edge over your enemies. Download Arctic Strike now! The Ghosts’ CV-32 tilt rotor aircraft will stubbornly stalk its prey—your avatar included. Join the legendary Ghosts and become the ultimate “quiet professional”, with unique stealth kills & brutal close-combat moves. Perform highly-coordinated takedowns in the full 4-player co-op campaign. Select from 3 classes (Rifleman, Engineer and Scout) and unlock new gear to battle online across 10 maps in the competitive multiplayer mode. 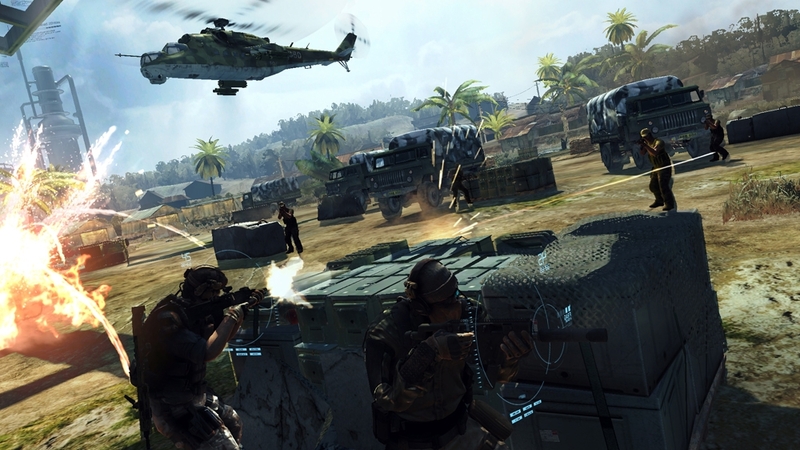 Play Guerrilla mode with 4 players online or 2 players in local split screen and cooperate to defeat successive waves of enemies. Assemble your arsenal with over 20 million weapon combinations in Gunsmith. Access your military stats feed, check out heatmaps, tweak your weapon, and receive challenges from your friends with Ghost Recon Network. “Satellite collision. That’s the official line…” “So, what’s the real story, sir? There’s too much left standing for a nuke.” “It was a nuke…until our missile shield took the warhead out.” When a stolen military-grade bomb takes out a Ghost squad, a new Ghost Unit must track down the source of the weapons. But the trail Kozak, Ghost Lead, Pepper and 30K follow leads around the world, into the corridors of power where rebellion and war are brewing. Soon, the Ghosts are all that stands between the world and global conflict. Thanks to this unique Ghost Unmanned Aerial Vehicle (UAV) drone, your avatar will always keep an eye on what’s happening around him. Scout the area to spot your enemies and find the best way to flank them! Dress up your avatar as iconic Ghost villains, the mighty Raven's Rock forces! Part of the Tom Clancy’s Ghost Recon: Future Soldier™ collection. Dress up your avatar as the Ghost's arch-enemies, the Bodarks! Part of the Tom Clancy’s Ghost Recon: Future Soldier™ collection. After a decade-long manhunt, US Intelligence has finally received actionable intel that could lead to the elimination of one of their highest priority targets: Boris Chevtchenko, the author of some of the most heinous war crimes of the 21st century. Linked to Russian ultranationalists, Chevtchenko is about to transfer to them an unknown weapon, one that analysts only know that it is capable of mass destruction... Tom Clancy's Ghost Recon® Alpha the movie invites you into the future of war with the US Armed Forces’s point of spear. Inserted deep behind enemy lines, the Ghosts must strike swiftly to eliminate one of the world’s most feared war criminals, and vanish as they came. 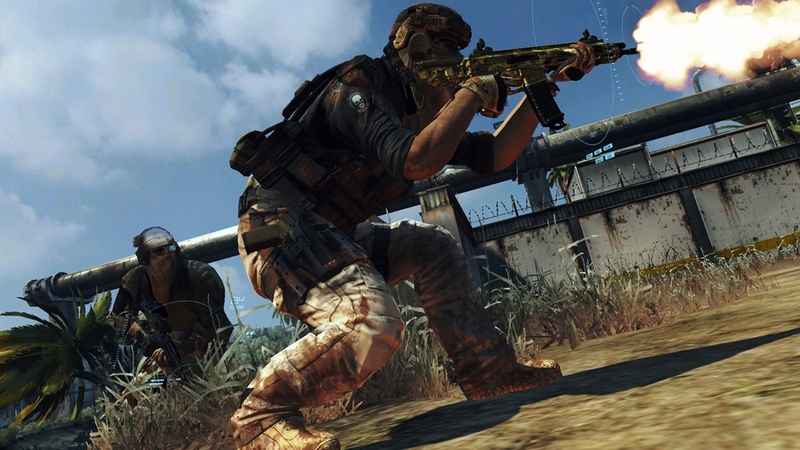 Tom Clancy's Ghost Recon® Alpha - The Movie is the prequel story of the videogame Tom Clancy’s Ghost Recon Future Soldier. When a stolen military-grade bomb takes out a Ghost squad, a new Ghost Unit must track down the source of the weapons. But the trail Kozak, Ghost Lead, Pepper and 30K follow leads around the world, into the corridors of power where rebellion and war are brewing. Soon, the Ghosts are all that stands between the world and global conflict. Become the ultimate “quiet professional”, with unique stealth kills & brutal close-combat moves. Deploy with cutting-edge, authentic military tech, including more than 50 weapons. Activate your optical camouflage to sneak behind enemy lines. Watch out for civilians, collateral damage is not permitted. Feel the ferocity of the battlefield using the new, visceral cover swap and shoot-from-cover ability. 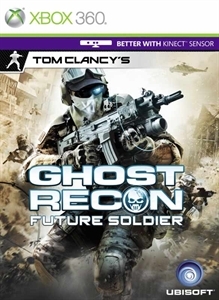 GunSmith is feature exclusive to Ghost Recon Future Soldier for Xbox 360®. Thanks to GunSmith, you can customize each gun in the game down to its inner parts. That ultimate customization tool is enhanced for gamers through the magic of Kinect™.Create over 20 million entirely unique guns. Take your pick among our 52 guns with over 49 possible attachments & modifications! 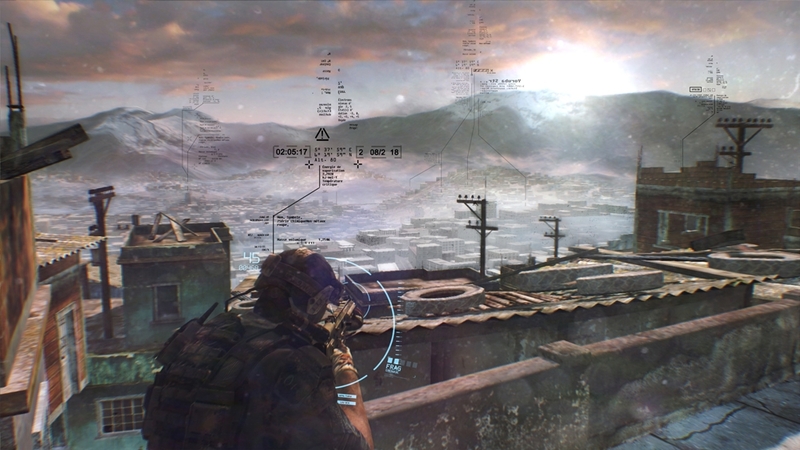 Deploy the battlefields of the near-future with this Ghost Recon: Future Soldier Premium Theme. Use your drone to scout for enemies, and then take them down with massive firepower. 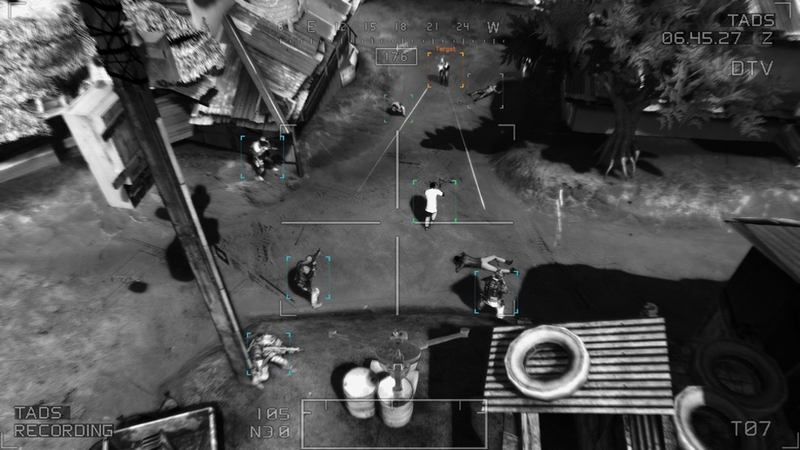 Armed with the most advanced combat technology, the Ghosts are an untraceable unit of soldiers who track down the highest-value targets in the highest-risk conflict areas around the world. In the near future, 4 of these elite soldiers serve as the tip of the spear in a hidden war raging across the globe. As the Ghosts accomplish their objectives, they discover a far greater threat - one that could alter the international balance of power forever. Join the Legendary Ghosts –Control Sergeant Kozak and his unit, across 14 missions in 8 spectacular locales, from Africa to the Arctic Circle. All-Access Pass to Future War Tech: Fight using the tech of tomorrow including, optical camouflage, augmented reality, drones and more. Wield over 50 Weapons and Customize Them with Gunsmith Mode- Harness the immense firepower of an army and optimize every aspect of your arsenal in the Gunsmith mode. Intense Multiplayer- 4 game modes, 10 maps and multiple classes along with GR’s classic siege mode.